The baby of the Samui–Pha-Ngan–Tao trio, Ko Tao may still be the smallest in size, but in many other ways, it's all grown up. 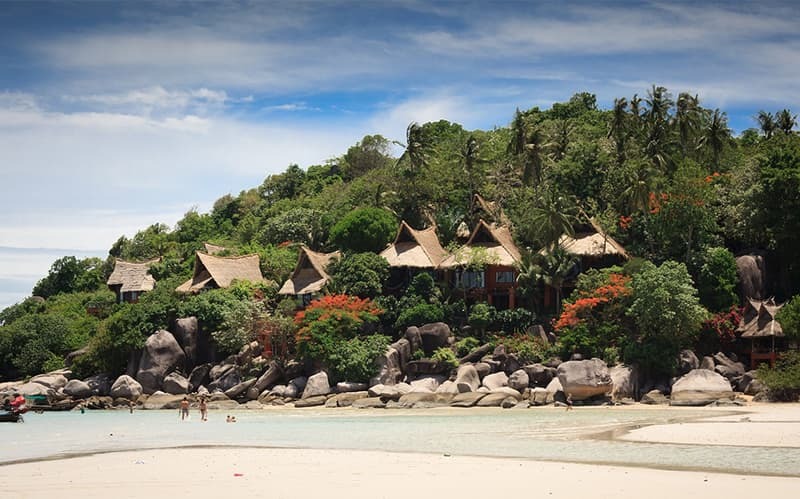 Ko Tao means Turtle Island in Thai, one of the world's most beautiful tropical islands. Ko Tao is famous for diving, fantastic beaches, and incredible sunsets. The island is continuously gaining popularity and going more upscale, but for now, this jungle-topped cutie has the lively vibe of Samui combined with the laid-back nature of Pha-Ngan. But Tao also has its wild card, something the others don't: easy-to-get-to, diverse diving right off its shores. Cavort with sharks and rays in a playground of tangled neon coral, toast the day with sunset cocktails on a white beach, then get up and do it all over again. 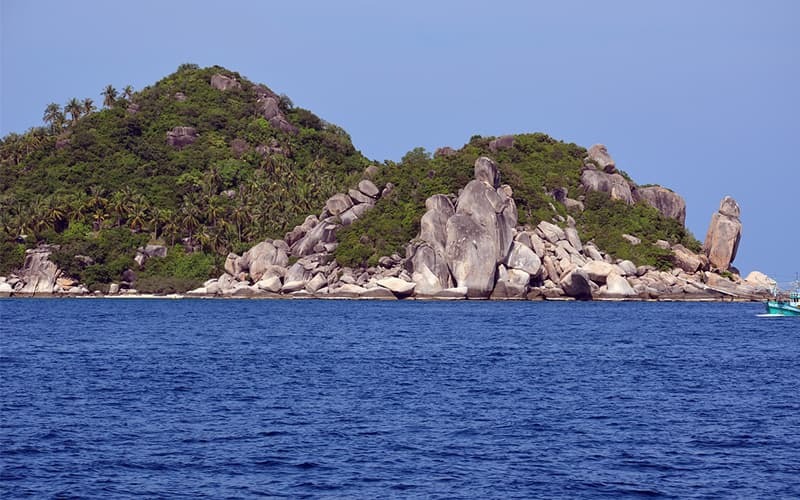 Get comprehensive information from this guide for the first time to Ko Tao. This is the busiest times of the year for the island, where I recommend you book way in advance if you plan to visit during these times, are over Christmas and New Year, and then between July and August. The official monsoon season on the Turtle is in November, where it will be raining for days on end. So be prepared if you want to visit during monsoon season. Thailand has some of the best public transportation systems in the world. It is so easy and straightforward to get around, and you can book tickets and get taxis nearly anywhere. Board a taxi to the bus station and travel by bus. The big commercial boats are, well big, meaning they take more people, and are a bit more organized. Usually, they will organize you delicious lunch as well as all the gear you will need to go snorkeling. It runs on a timed schedule that takes you to all the central snorkeling spot and places to see. It is a right decision if you want to meet new people, have limited time and intend witnessing a bit of everything. The long tail boat on the other option and is one of the best ways to explore The Turtle and all its hidden bays and beaches. The boat tour itself is quite an adventure as you get to ride a traditional boat with only your friends or family, soaking up the sun and just enjoying the moment. Seeing as it is a private boat, you can navigate, and ask the captain to stop off at any of the beautiful bays, while you're directed to where the best snorkelling spots are. This is their job, and they are usually more than happy to show you. When you reach a bay with too many people, you can just move along to find a less congested bay. Let's dive right in why don't we? Koh Tao is ranked Number 2 in the world for getting certified for diving. There are two reasons for this. First, because it is one of the most beautiful places to scuba dive on this planet, and secondly, it is super cheap compared to any of the other countries. You will get the change to dive into one of the most beautiful areas in the world, enjoy the tropical island life, and on top of that get certified for diving apart from the world. It is very rare to get such an all-in-one package at a low price. After a long day of relaxing on the beach, snorkelling or just exploring the island, you can enjoy a nightcap watching the sunset at one of the numerous bars and restaurants along Sairee beach. It is a great way to end your fun-filled day, or just relax and unwind. Koh Tao has quite a few night-time festivities up its sleeve, especially on the famous Sairee Beach. It is effortless to change your nightcap cocktail into a Thai whiskey bucket and then into a wild night out. There are lots of upbeat bars along Sairee beach where fire dancers and DJ's bring their best shows. Professional DJ's from all over the world come to Koh Tao to entertain the crowds. 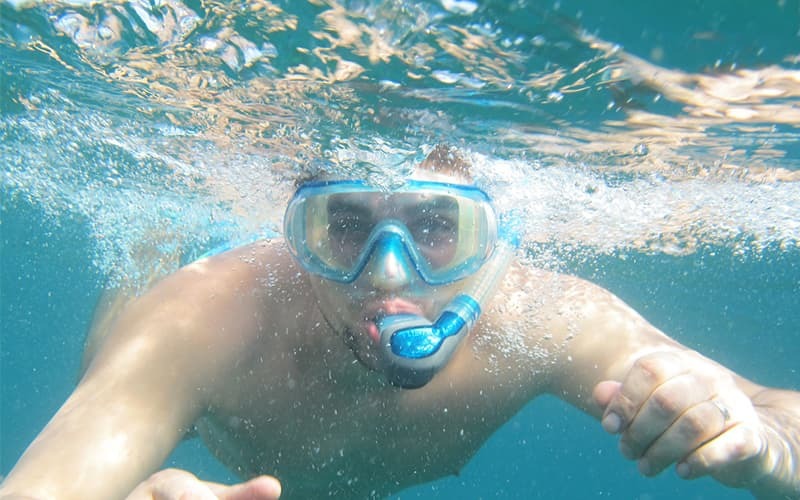 Koh Nangyuan has one of the best snorkelling locations around the Koh Tao area. The Japanese Gardens has terrific soft and hard coral formations living among huge granite boulders. You will also see a category of anemones and colourful aquatic life. With its sloping sandbar and shallow bottom makes the Japanese Garden suitable for beginners and a great place to build up confidence.